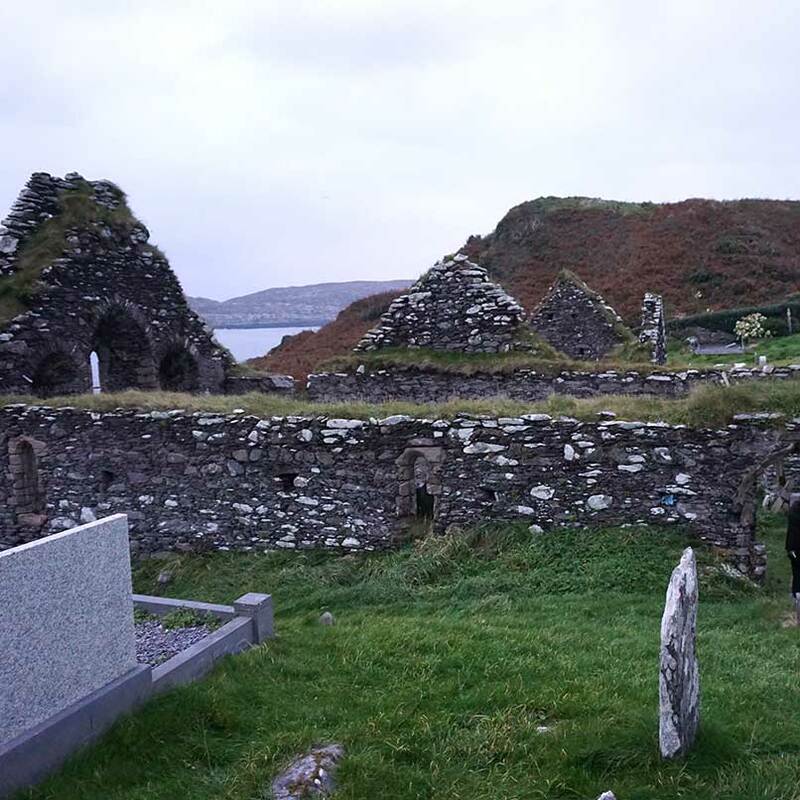 In November 2015, the IwB students, faculty, and staff travelled to County Kerry to conduct research for the Interstitial Zones project and run a five-day charrette called “Imagining Iveragh”. The IwB team spent a week meeting local stakeholders and getting to know the area. 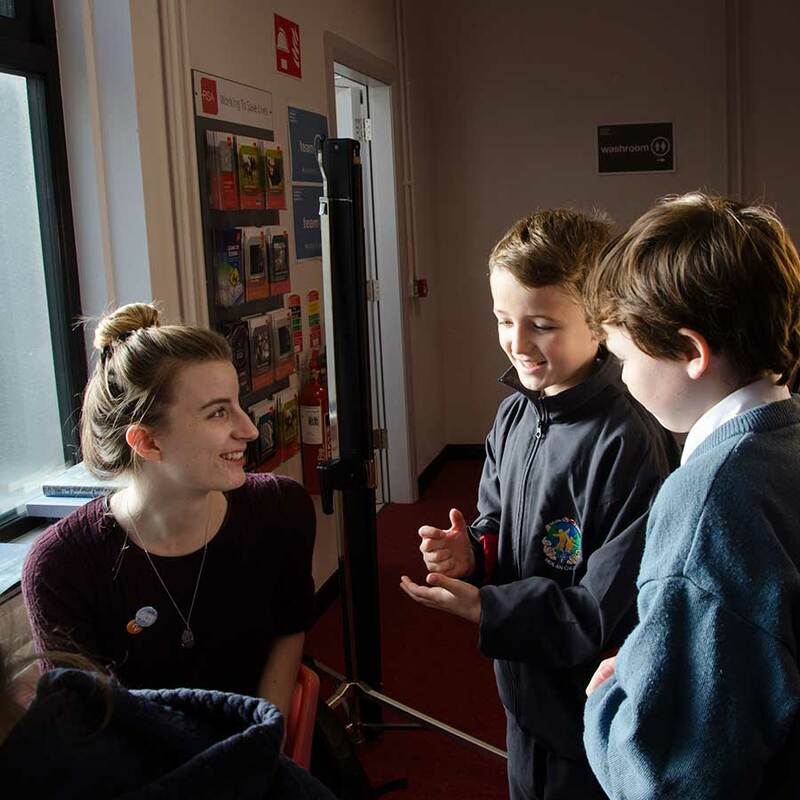 During the second week of their stay, from Monday, November 9 to Friday, November 13, the IwB conducted the charrette at the Cahersiveen Library. The charrette focused on the Iveragh Peninsula and developing local projects that worked with the four main Interstitial Zones project themes: County Kerry as a Destination; Science and Ecology in Kerry; Culture and Heritage in Kerry; and Innovation and New Industry in Kerry. Four charrette teams were asked tackle the four Interstitial Zones project themes. Each charrette team was given a brief that provided a research problem and portfolio, including a specific geographical site or a series of related sites, where the team was asked to base their design project. The brief included site assets and considerations, researched by the IwB students and County Kerry stakeholders. Charrette teams were asked to create a implementable ideas that can be readily applied in the Iveragh Peninsula and Kerry towards sustainable economic development and job creation. How do we transform Kerry’s existing assets into job opportunities? County Kerry is a small region in the southwest of Ireland. It is a rugged coastal area rich in history, culture, and wildlife, but similar to other interstitial areas, it faces depopulation and problems stimulating and maintaining economic activity. In particular, since the 2008 economic crisis the region has faced difficulty dealing with the side-effects of the crisis, with little potential investors and jobs available. At the same time, the economic situation has in no way changed the region’s potential as a prosperous economic zone, especially in areas like tourism and ecological research. There are many opportunities in County Kerry for adventure tourism, ecological research and education, archaeology, and expansion of current and emerging industries. Recently Kerry has been included as part of the new “Wild Atlantic Way,” regional branding campaign. But the campaign and developments in Kerry, in the areas of tourism, entrepreneurship, investment in science and technology, etc., have not been even across the County. The charrette honed in on the Iveragh Peninsula, which has much potential to develop economic activity around its striking natural, cultural, and historical features. The charrette addressed the specific issues facing Iveragh residents, entrepreneurs, public officials, and business owners, aiming to transform and expand on the existing assets of the area in order to create new jobs and opportunities. Charrette participants worked in four teams made up of IwB students, faculty, and staff and local Kerry stakeholders as well as other design students from IADT Dun Laoghaire, IT Tralee, and Nottingham Trent University. Each team was assigned to a specific Kerry case study site, where participants assessed the current opportunities for development and thought of ways to transform or activate them to stimulate new development. The challenge was to create new economic infrastructure that highlights the local culture and heritage. Charrette participants were asked to bring attention to Iveragh’s potential for wildlife exploration by designing infrastructure and programming for adventure tourism; stimulate science and ecology in Iveragh by designing a multidisciplinary ecological research and visitor centre; highlight Iveragh’s archaeological richness by designing an open-air archaeology centre or museum; and rethink farming practices in the region by designing an ‘agri-incubator’. In only five days, charrette teams proposed unique and multifaceted design solutions that can be readily used in Iveragh and the surrounding area. The videos, presentations, and summaries of the charrette design proposals are available below. From the Atlantic coast to Carrauntoohil, Ireland’s tallest summit, the diverse landscape of southwest Kerry is an ideal area for adventure travel. There are many new adventure tourism entrepreneurial initiatives in the area. However, the challenge in the region has been collaboration, extending the adventure sport season year round, and promoting southwest Kerry’s reputation for adventure tourism nationally and internationally. Team 1 proposed “KRY”, a new identity for the region that plays on the name Kerry and uses ‘cry’ in the sense of enthusiasm and pride of the Kerry people. The cry of the land, the sea, and the people; a call out to invite others to come experience Iveragh’s natural landscape. Separate regions throughout county Kerry have implemented many different branding strategies to promote themselves. The result has been many voices crying out for the same audience. Kry aims to unify Iveragh so that all of Kerry’s hidden gems will be made accessible for everyone to enjoy. By using all of County Kerry as a platform the team aimed to unite numerous regions under one voice. The platform will amplify the quieter voices of the more rural areas, that so far are being drowned out by already established tourist destinations. The KRY Campaign includes a new visual language and identity for the Iveragh peninsula; the KRY Alliance, which consists of entrepreneurs and acts as a strong lobby body to represent the region; the KRY Litway, a path system to access destination spots combined with a night light experience and art installations; as well as other features like KRY Venture and KRY Finder. Download the The KRY Project presentation here. Watch the team’s presentation video here. The unique ecology of southwest Kerry includes strong maritime and mountainous influences and a diversity of natural landscape. This gives the region unmatched potential for exploring how the landscape can create new research opportunities. Charrette participants were asked to design a multidisciplinary ecological research and visitor centre that will enable potential researchers and residents to foster an appreciation of the natural environment and encourage eco-literacy amongst the general population and visitors to Kerry. 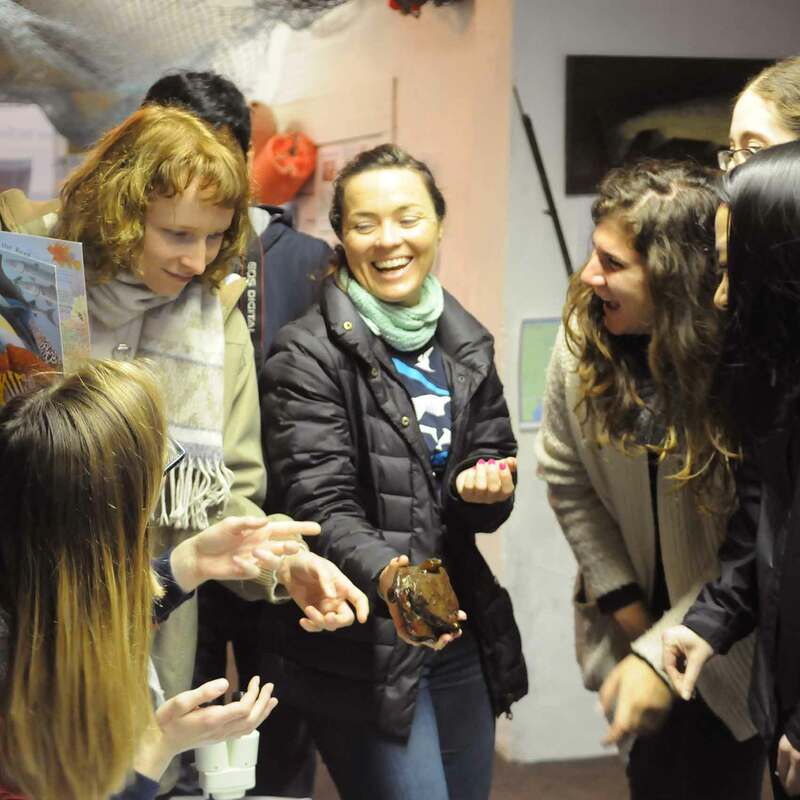 The vision is to develop a living laboratory that places an emphasis on a plural approach to ecological research, practical action, and interactive experiential learning. Team 2 proposed the Pearl Project, a concept that makes Iveragh a destination for innovative research and learning experiences through a system of geodesic domes or pearls that would be strategically placed along the Iveragh Peninsula. The purpose of the Pearl Project is to link together the existing natural assets of the area, like a string of pearls, in order to establish sustainability through tourism, education, and economic opportunity. The pearls include the Cahersiveen Meta Pearl, a Research and Visitor Centre and a destination for innovative research and learning experiences, with conference, theatre, planetarium, and research facilities on site. As well as sub-pearls at St. Finian’s Bay to observe Black Pearls; an Aqua Pearl at Waterville that would include an aquarium, boat tours, and a virtual exhibition for water bio-exploration; a Geo Pearl at Sneem that would include a Geo Park, archeology activities, soil aquarium, simulated exhibition, and research facilities; and the Caherdaniel Bio Pearl that would include a virtual reality learning centre and interactive exhibit. Find out more, download the The Pearl Project presentation here. County Kerry has many archaeological sites that provide a great opportunity for tourism development, cultural appreciation, preservation, and learning. Charrette participants were asked to explore the possibility for new infrastructure and programming that could bring attention to the numerous archaeological sites in the region. Teams were to develop way-finding systems, a signature building that will act as a visitor centre, and programs and services related to an open-air museum. Team 3 developed a proposal for OPEN, a space for new ways to see and experience Iveragh’s rich archeology landscape. The OPEN approach invites people to be part of discovering all the ‘not yet discovered’ archeology of the area. The team proposed 4 new innovative ways of experiencing archeology: the Skyway, a cable car that will provide rare aerial views of the archeological sites, and will be the first of its kind in Ireland; the Myseum of Iveragh, a museum with no roof and no walls that would be open to everyone; the Open Pearl, a space for workshops and retail, where people can start their archeological exploration; and the Open Workshops, a series of educational workshops that will present new approaches to the field of archeology for locals and tourists alike. Find out more, download the OPEN presentation here. Ireland has a long history of cattle farming for dairy and beef, and there are efforts in research, innovation, and education to look at the development of farming in the country. Towards this effort, charrette participants were asked to focus on developing a vision and strategy for new farming practices, tools, and opportunities in Iveragh that will promote farming education and new agricultural business and technology. In particular, charrette participants were asked to focus on developing a space that could act as an educational agro-incubator for local farmers and other stakeholders. This space should serve as a platform for regional farming collaboration and innovation, possibly promoting a new regional farming startup culture. Team 4 proposed the Innovative Agricultural Centre of Iveragh (IACI), an agricultural training institution and research facility that will host a diverse range of field programmes, modules, and courses. The IACI will utilize the natural resources of the Iveragh and help reinvigorate its agricultural community, with the aim of improving the opportunities for farming in the area. The centre will provide a source of employment for the local community in the delivery of programmes, cafe, swimming pool, and cinema as well as with the upkeep of the IACI facility and the servicing of the campus. The facility will become a hub of activities and research surrounding aquatic farming, animal farming and husbandry, innovative food farming, pedology, aquaponics, and permaculture. Find out more, download the IACI presentation here. The Caherciveen Library for hosting the event. All the residents, business owners and educators that have joined at different moments during the charrette to inform the process and support the new ideas!